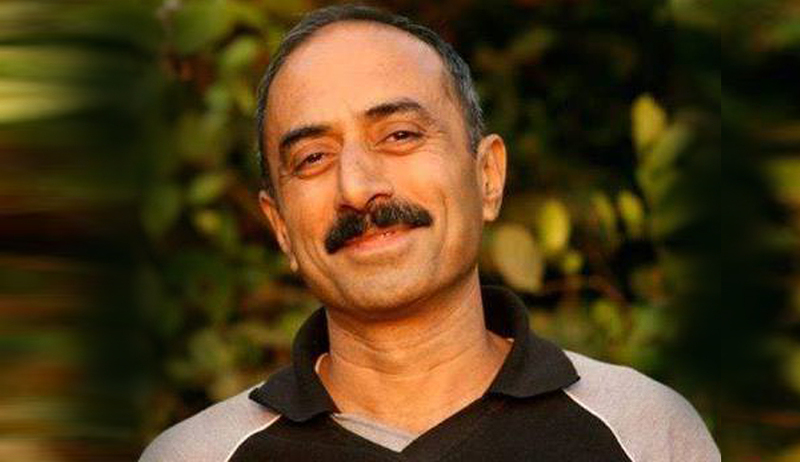 “You hang me but after a proper trial”: Dismissed IPS Officer Sanjiv Bhatt alleges victimization by Gujarat Govt. Dismissed Gujarat Cadre IPS officer and known Modi-baiter Sanjiv Bhatt on Thursday averred in the Supreme Court that he would not get a fair trial in Gujarat if the State Police investigates the complaint against him as the justice delivery system in the State has collapsed. He alleged victimization for consistently maintaining and deposing before the SIT, the court amicus and the Nanavati Commission that the Modi government was complicit in the riots. Ms. Jaising brought to the Court’s notice that Mr. Bhatt was the sole witness to a meeting convened by the then CM, Mr. Modi, on February 27, 2002, the day of the communal riots, when instructions were allegedly given to the State Police to not take any action against the perpetrators of violence. Everybody, including Mr. Bhatt’s driver who had accompanied him to the place of the meeting, have turned hostile, denying any such meeting. She also placed reliance on various emails of Mr. Tushar Mehta, the then Advocate General of Gujarat, who is now the Additional Solicitor General in the Supreme Court, to highlight the role of various functionaries including, Mr. Amit Shah, in the administration of justice in Gujarat. She alleged that Mr. Mehta had drafted the bail applications of the riot accused and even passed on the draft applications to higher functionaries. Ms. Jaising informed the bench, comprising Chief Justice H.L. Dattu and Justice A.K. Misra that Mr. Bhatt was victimized, arrested and remanded to police custody for 70 days, his mother's house was ransacked twice, his security cover was withdrawn, he was suspended and later terminated. “His is a clear case of victimization. His depositions have the potential to upset those in power. He was and is even now being victimized for being bold enough to have said that he was present at the February 27, 2002 meeting held at the residence of then Gujarat Chief Minister Narendra Modi, where he heard him utter a few words,” she submitted. The arguments will continue on September 22. After keeping him under suspension for nearly five years, Mr. Bhatt was sacked on August 18. He had moved the SC four year ago accusing the then Modi government of attempting to blunt his untiring efforts to expose the state’s role in fanning the riots by lodging an inspired FIR against him in 2011 accusing him of forcing a government servant to give false evidence to establish his presence during a high-level meeting called by the then CM to discuss the riots. Mr. Bhatt moved the fresh application requesting the SC to add BJP president Amit Shah and S. Gurumurthy as parties in his petition as they were “part of the larger design to subvert the course of justice”, both before the SC and the trial court in the riot cases. The SC-appointed SIT headed by former CBI director R.K. Raghavan had given a clean chit to Modi after investigating similar charges made by Jakia Jafri, whose husband and former Congress MP Ehsan Jafri was killed by rioters. Mr. Bhatt claims he filed the application seeking impleadment of Shah, Gurumurthy and two Gujarat government officials, G.C. Murmu who was then principal secretary to Mr. Modi and then State Home Ministry official Vijay Badekha, in his petition after stumbling upon “incriminating material” in the emails of Mr. Tushar Mehta which showed that they were part of a conspiracy to subvert the course of justice in riot cases. The IPS officer had filed petitions in the apex court in 2011 against the lodging of FIRs against him by the Gujarat Police. One of the petitions pertains to an FIR lodged by a Gujarat police constable in Ahmedabad alleging that Mr. Bhatt had pressurized him to sign an affidavit testifying that the IPS officer participated in a high-level meeting after the Godhra carnage. In another FIR, he has been accused of allegedly hacking then state’s Additional Advocate General Tushar Mehta’s e-mail account. Mehta is currently the Additional Solicitor General of India. In fresh applications, the sacked IPS officer had also sought to implead top BJP and RSS leaders and senior IAS officers alleging that they were part of a larger conspiracy to subvert ends of justice.